WE SELL TRAVEL INSURANCE Even if you have already purchased travel somewhere else. Go to this link if you want to buy a travel insurance policy. Should I Buy Travel Insurance from my Travel Agent? Yes! If I can’t go will it pay my cancellation fees? Travel Insurance protects you in a couple of very important ways. The most likely to happen is you have to cancel your trip because of illness or accident and it will pay the cancellation or change fees. As vendors never waive fees anymore, have increased cancellation penalties and pushed them out this might be enough reason to purchase the travel insurance. All policies have a list of covered reasons in the policy but you can upgrade some policies for a fee to have “any” reason or some policies work reasons. Yikes, I need emergency medical evacuation back to the states! One of the costliest and problematic for you and your companions is you get sick or hurt overseas and need to come back to the United States. Travel insurance policies usually cover repatriation including medical air ambulance where necessary. Even if you have US based health insurance you may not be covered for overseas travel. Even if you have medical coverage overseas you may not have evacuation coverage. What about baggage or travel delay expense? Policies have a couple of provisions like payments for clothing if your bags get lost and also payments for hotel and food if you encounter a travel delay. What about cruise line or tour company policies? We are insurance agents and we sell 2 brands of private insurance and all vendor insurance. Vendor insurance is usually a cancellation waiver backed by insurance so we can explain all policies that apply. Most are not age banded so they are affordable especially if you are older; but don’t carry as much medical coverage as private insurance. WE SELL TRAVEL INSURANCE Even if you have already purchased travel somewhere else. Go to this link if you want to buy a travel insurance policy. Should I Buy Travel Insurance from my Travel Agent? If I can’t go will it pay my cancellation fees? Travel Insurance protects you in a couple of very important ways. The most likely to happen is you have to cancel your trip because of illness or accident and it will pay the cancellation or change fees. As vendors never waive fees anymore, have increased cancellation penalties and pushed them out this might be enough reason to purchase the travel insurance. All policies have a list of covered reasons in the policy but you can upgrade some policies for a fee to have “any” reason or some policies work reasons. Yikes, I need emergency medical evacuation back to the states! One of the costliest and problematic for you and your companions is you get sick or hurt overseas and need to come back to the United States. 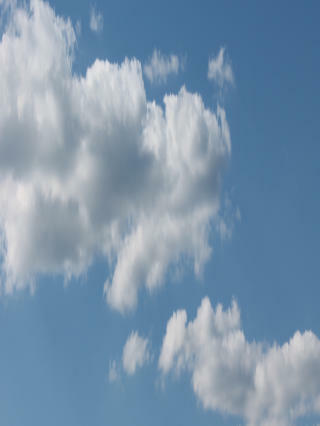 Travel insurance policies usually cover repatriation including medical air ambulance where necessary. 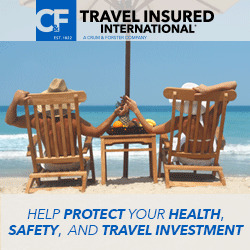 Even if you have US based health insurance you may not be covered for overseas travel. Even if you have medical coverage overseas you may not have evacuation coverage. What about baggage or travel delay expense? Policies have a couple of provisions like payments for clothing if your bags get lost and also payments for hotel and food if you encounter a travel delay. What about cruise line or tour company policies? We are insurance agents and we sell 2 brands of private insurance and all vendor insurance. Vendor insurance is usually a cancellation waiver backed by insurance so we can explain all policies that apply. Most vendor policies are not age banded so they are affordable, especially if you are older; but don’t carry as much medical as the private insurances do. Our private policies are very affordable for young people. As they have more medical coverage, they are more expensive in the higher age bands.